After the tsunami many of the local villagers' homes, close to the original Khao Lak beach at Lam Kaen, were destroyed. Many villagers also lost their livelihood ( working as fishermen, working on rubber plantations or working in the tourist industry). Her Royal Highness Princess Chulabhorn Mahidol saw to the construction of new houses for those affected in a new community development. She gave the new name, Baan Nam Sai, (meaning clear water) to this Lam Kaen community, located at Moo 2 Tambon Lam Kaen. Ban NamSai is close to the original village of Ban Khao Lak. A community-based tourism group has been formed to generate household income and they have created a home stay initiative. This is one of the best ways a visitor can gain authentic insight into the local culture and daily way of life of Lam Kaen villagers. There are also several activities offered - treking, batik workshops, long-tail boat trips and seasonal activities such as rice planting. 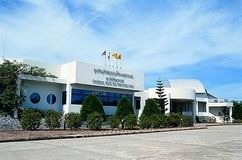 Chulabhorn Marine Park Conservatory Centre is situated inside the Third Fleet of the Royal Thai Fleet, Ban Thap Lamu, Tambon Lam Kaen. It was established by the Phang-nga Naval Base with an aim to provide knowledge about underwater resources for tourists and the public. It is a 2-storeyed building exhibiting the significance of natural resources, marine environment, and slide multi-vision presentation on the Andaman Underwater. The Centre is open daily during 8.30 a.m. – 3.00 p.m. Admission is free. Accommodation is also available; please call Tel. 076 595170, 076 595090.